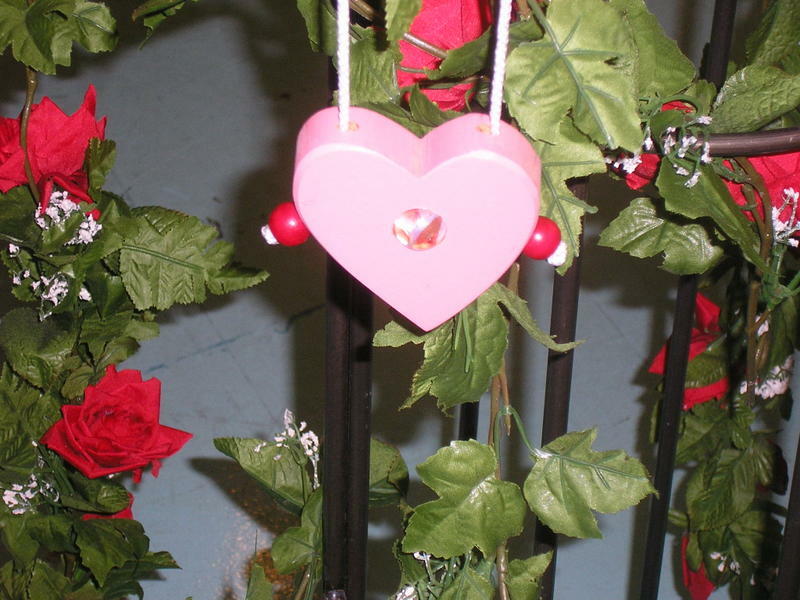 As you walk into Terra Toys, the smiles on children’s faces and sounds of laughter say it all. Charles Edwards and Romalda Allsup, partners in life and business, have just celebrated their second Christmas season on Anderson Lane, after their move here in 2004 from South Congress Avenue. Austin may be famous for businesses started in garages, but not all products are high tech. Twenty seven years ago, Austin’s northernmost suburban mall, Northcross, was only four years old, when this young couple started out. Charles and Romalda met down on the “Forty Acres” (aka UT) and finished school. They started to make toys in their garage apartment – wooden pull toys, push toys, spinners and rain sticks. They soon rented an old mechanic’s garage at 1st Street and Congress and turned it into a workshop. Though the toys were sold wholesale and they worked mostly at night to avoid the sweltering heat or to allow time during the day to sell to retailers, people would walk into their small shop and want to buy something. 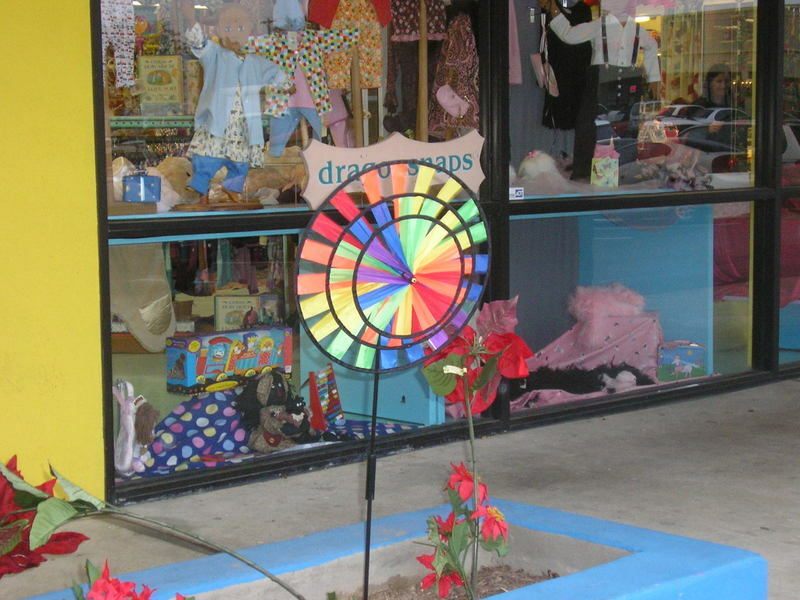 When the property sold to downtown developers, Terra Toys moved to South Congress. 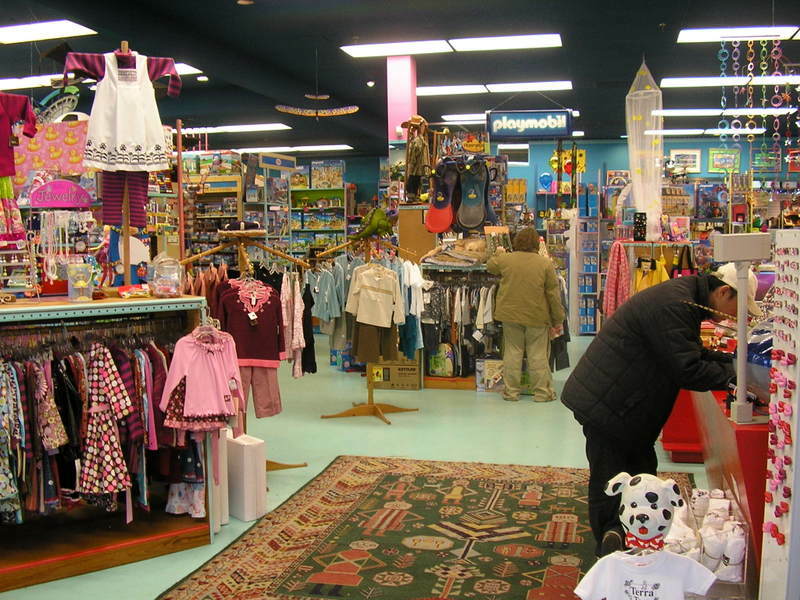 Gradually, retail sales took over and Charles and Romalda found themselves in need of a store big enough to be a “cool good toy store”. Their criteria were easy access and parking, accessibility from anywhere in the city, and somewhere perceived as a central location. They wanted to go to where the families were and were able finally to “move into the customer base” when an agent brought them to Anderson Lane. Here, they found the space which allowed fuller expression and more storefront. The new location has worked out very well for them. incorporate their children’s clothing side, Dragonsnaps, into the same space. 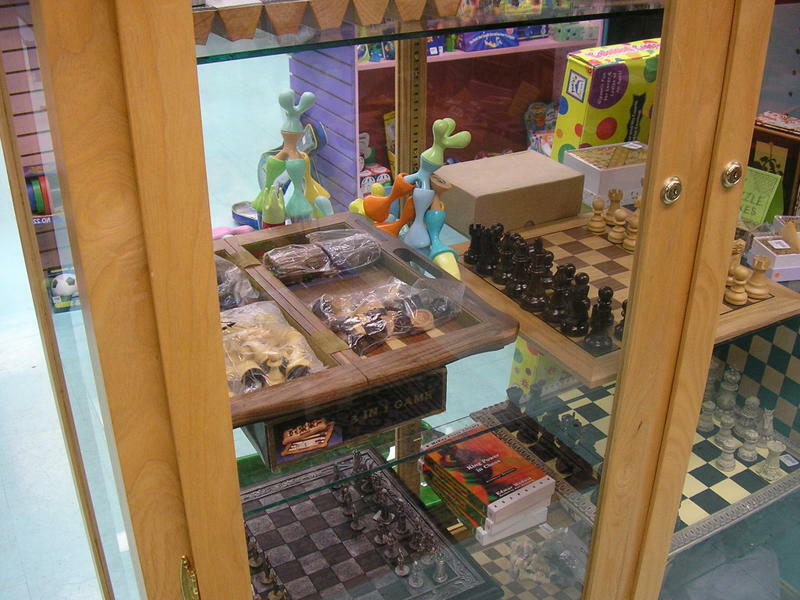 Besides location, Terra Toys’ success is more likely attributed to their buying philosophy. Romalda, as buyer, shies away from toys that do things for you while looking for toys that are real – toys you can hold in your hands and interact with. The ideal is to have a toy that kids (big ones and little ones) can start playing with when it’s set in front of them. In a sense, the toys are both art and they’re artifacts – beauty that’s accessible, fun, and a reflection of our culture. Toys may be fun, but running a toy store is hard work – with toy categories far outnumbering hardware. Charles and Romalda travel as far as the Nuremberg Toy Fair, the world’s most prestigious as well as largest toy fair, to search out those special toys that kids can connect to by using their imagination. Terra Toys’ name itself reflects the store’s outlook – being grounded to earth. Romalda shared her philosophy with me, “Toys are kids’ tools. Children have to learn how to manipulate their physical world in order to understand the rules, and what works and what doesn’t.” Toys can teach children how the real world works, while taking them as far as their minds and imaginations will go. 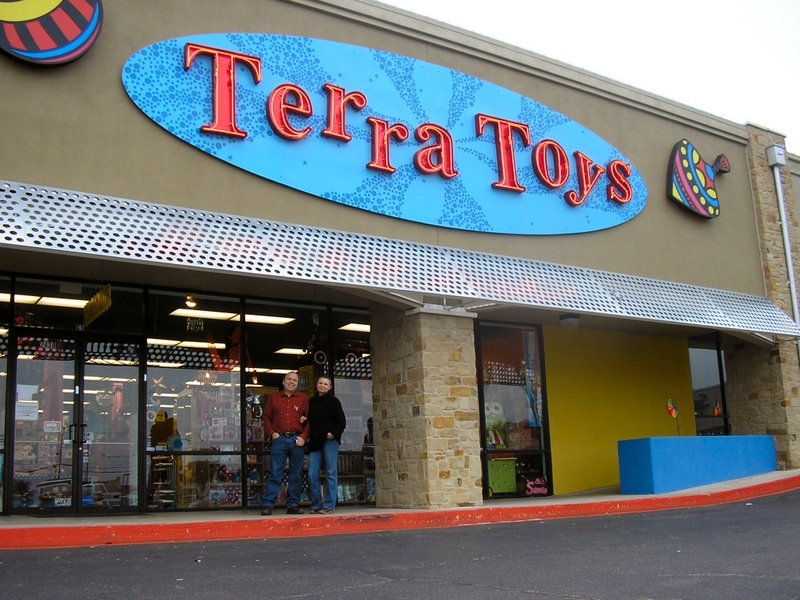 Terra Toys, 2438 West Anderson Ln., Austin, Texas, USA, Planet Earth (512) 445-4489 http://www.terratoys.com.